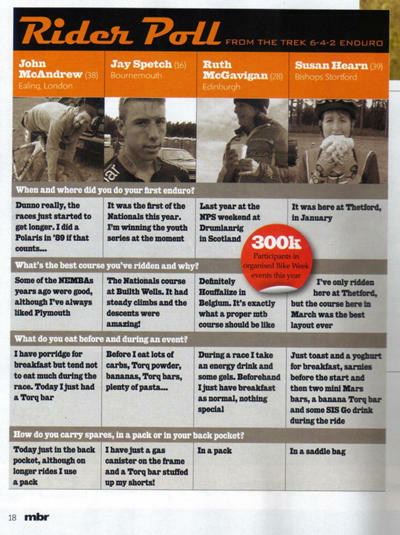 At last month’s National Points Series Mountain Bike event at Thetford forest (Norfolk), MBR magazine grabbed 4 riders at random and questioned them. One of the questions was ‘What do you eat before and during an event?’ and 3 of the 4 riders mentioned ‘TORQ bar’ by name (see below). Many thanks to MBR magazine for their permission to reproduce this article.